Pedals: standard in lightweight aluminum construction. Optional aluminum water jet cut.. 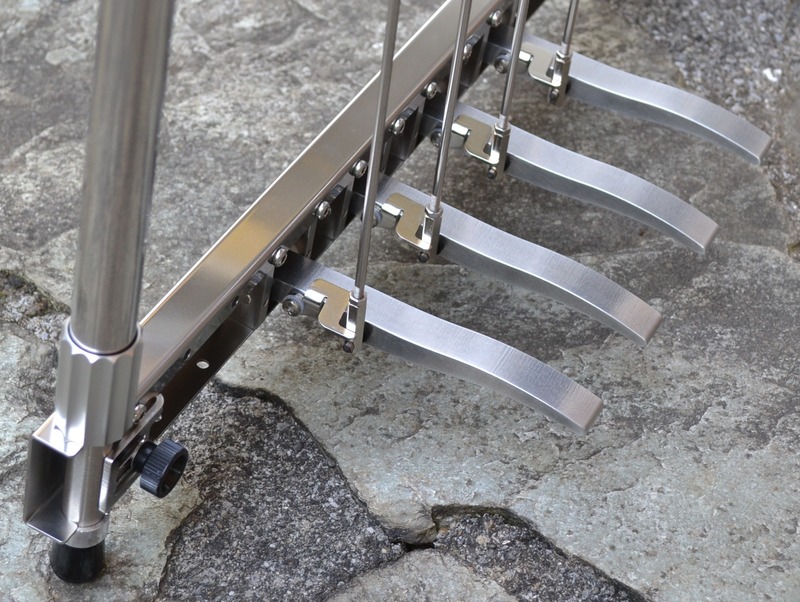 The pedal pivots�are�furnished with quality bearings. The knee leves have integrated and adjustable end stops. All pivots are fitted with quality bearings. Horizontal adjustment of the levers is � 25mm (ca. � 1"). The levers can also be adjusted with a quick adjustment (without tools) about 15� to the right or left. The cross rods can be slid out through�holes on the back apron of the guitar�if necessary. Bell cranks are secured to the cross rods with an hexalobular socket pan head screw from above, and their position can be slightly adjusted. Attaching or removing a bell crank can be done from above; no lateral movements are necessary as the screw inserts into the cross rod. Adjustable resistance and distinctness of midpoint, adjustable tolerance (accuracy of half point). This half stop can also be felt on returning the knee lever from the fully engaged position. The end stop is not on the half stop unit, but on the knee lever itself.